Those who stay at an accommodation in Siena, may benefit of a discounted daily rate of Euro 25.00. 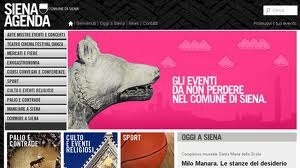 “Siena Parcheggi” offers discounts on the daily standard rate to tourist staying at accommodations in Siena. 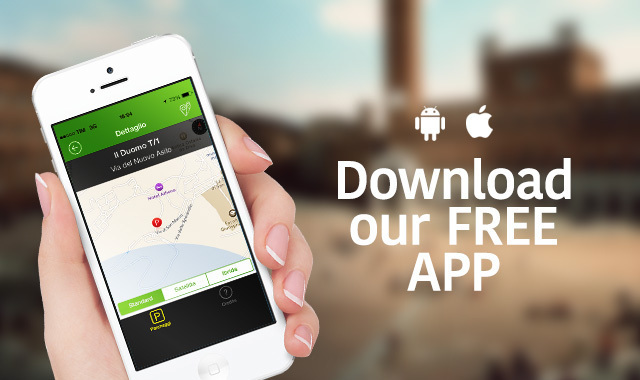 Discounts can be used for the car parking in the parking lots nearby the inner City (“Campo, Santa Caterina, Duomo, San Francesco”). People staying in accommodations in Siena, may benefit of a discounted daily rate of € 25.00 in comparison to the standard one of € 35.00 and the hourly rate (2 Euro). This solution is convenient for people who decide to reach Siena by car, to leave their vehicle for the day (or more than 12 consecutive hours) in a parking car just before a ZTL and to enjoy the city by foot. 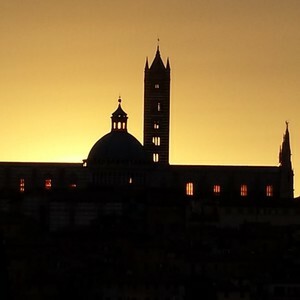 The size of Siena´s City Centre allows you to move from one point to another, without having to use of the car. In order to benefit from the discount, you need to go to the Counter (“sportello - cassa”) in the gallery of “Il Campo” Car Park (Via Sant’Agata 1) and give the Hotel receipt with the car park ticket to the assistant at the Help Desk. The ticket has to be collected when entering one of the Car Park (“Il Campo” or “Santa Caterina”, “Duomo” and “San Francesco”). The counter situated in “Via Santa Agata” is open 24/7, all the year-round (it is necessary to ring the bellon night hours and Bank Holidays). 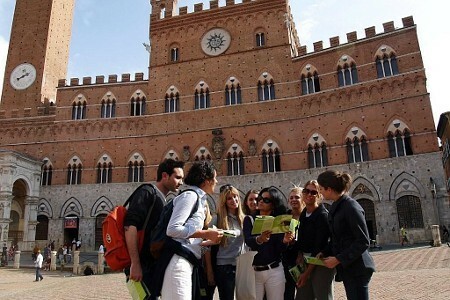 The operator will set up the ticket with the discounted rate for the tourist staying at accommodations in Siena. At this point, you can go to the Car Parking to collect your vehicle, passing first from the check-out-counter for the payment. The ticket will be returned with an endorsement. At the exit, the ticket has to be inserted in the automatic machine that will operate to lift the bar up. In case of hindrance in reaching the counter of “Via Santa Agata”, you will need to pay the whole amount without discount and request the refund at “Siena Parcheggi” afterword. To obtain the refund you need to send the payment receipt, the hotel receipt and the IBAN to “Siena Parcheggi” (via Sant’Agata 1, 53100, Siena). The payment receipt has to be required at the check-out counter as the machine doesn’t release it automatically. “Siena Parcheggi” will provide to credit the difference in a short time to your account. The refund enquiry could be sent also through email (attaching the copy of all necessary documents) at:si.park@sienaparcheggi.com. We remind you that “Siena Parcheggi” offers a convenient and cheap car park for citizens and tourists at the Train Station, with a rate of 0.50 cent per the first hour and 2 Euro for the full day. The “La Stazione” car park is connected with a free escalator, which ends directly at the “Antiporto”, just before the ZTL. 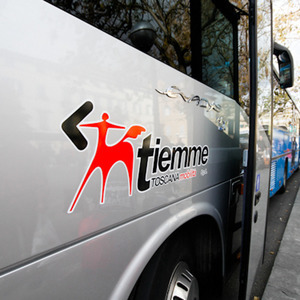 The car park is connected to the City Centre with many public bus lines which guarantee a transfer every 15 minutes.